Yesterday, Jennifer attended a press conference for Red Sparrow in Los Angeles. You can see the photos below. Also, I have added new stills, screencaptures, promotional photos and posters for Red Sparrow. You can watch the featurette below. Here are some more pictures as I promised. This time it involves Jennifer’s appearances in films. I have added stills, screencaps, promotional photos, etc. I will have screencaps from the remaining movies by some time in February. More pictures will come soon. Also some news, two new trailers were released for Red Sparrow. Check out the videos below. Directed by Francis Lawrence, also known for directing the three last Hunger Games films, the film tells the story of Dominika Egorova (Jennifer Lawrence), a Russian spy, who was trained in the Sparrow School to use her body and mind as weapons and meets the odds of CIA officer Nathaniel Nash (Joel Edgerton). The film is slated for release on March 2, 2018. The film also stars Matthias Schoenaerts, Charlotte Rampling, Jeremy Irons, and Sakina Jaffrey. I have finally added pictures to the mother! album. Check out the screencaptures, stills and posters I have added! In the midst of all this, I forgot one important thing: Happy belated birthday Jennifer! New ‘THG: Mockingjay Part 2’ Poster! 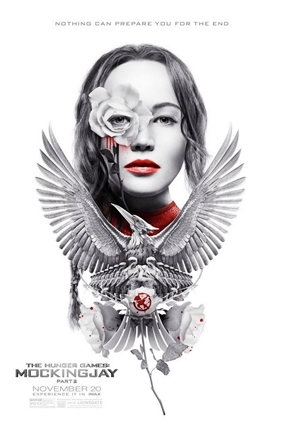 I added to the gallery this gorgeous new poster of ‘THG: Mockingjay Part 2’, enjoy! I added to the gallery 6 promotional shots of The Hunger Games: Mockingjay Part 2, check them out! Aaalso – it has just been announced officially – Jen, along with her THG co-stars, will attend ‘TGH: Mockingjay Part 2’ premiere in Moscow, Russia! Yay to the Russian fans! The date of the event is still unknown but I’m sure it will be published soon and I’ll post it here ASAP. Stay tuned! Wohoo! 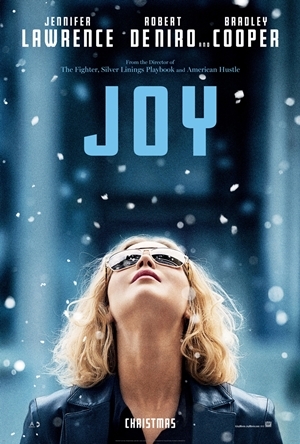 I’m glad I can finally share with you the official poster of Jen’s upcoming movie ‘Joy’! It is BEAUTIFUL, enjoy! ‘THG: Mockingjay – Part 2’ Stills! I’ve got some exclusive stills of ‘The Hunger Games: Mockingjay – Part 2’ for you today! Please swing by the gallery and check them out! 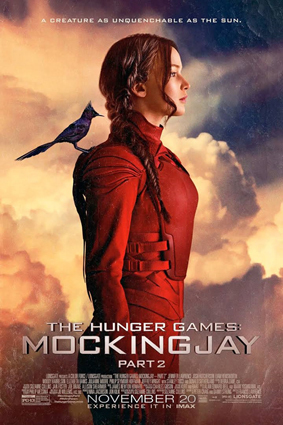 New Posters of ‘THG: Mockingjay Part 2’! I added 2 new ‘THG: Mockingjay Part 2’ posters, thanks to the awesome JenniferLawrence.Org for the ultimate HQ image on the left!! New “Mockingjay Part 2” posters! 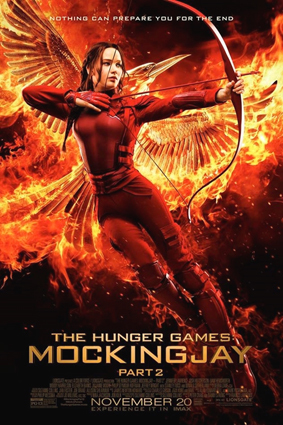 Two new posters of Jennifer as Katniss Everdeen from “Mockingjay Part 2” has been released. Two new posters of Jennifer as Katniss Everdeen from Mockingjay Part 1 has been released. Mockingjay – Part 1 final trailer & new stills here! The wait for the final trailer of Mockingjay – Part 1 is finally over. You can it watch now. Mockingjay Part 1 is scheduled to be released on November 21, 2014 in the United States, and has landed atop Fandango’s list of most-anticipated films for 2014. Some new production stills of Jennifer as Katiness were released too.